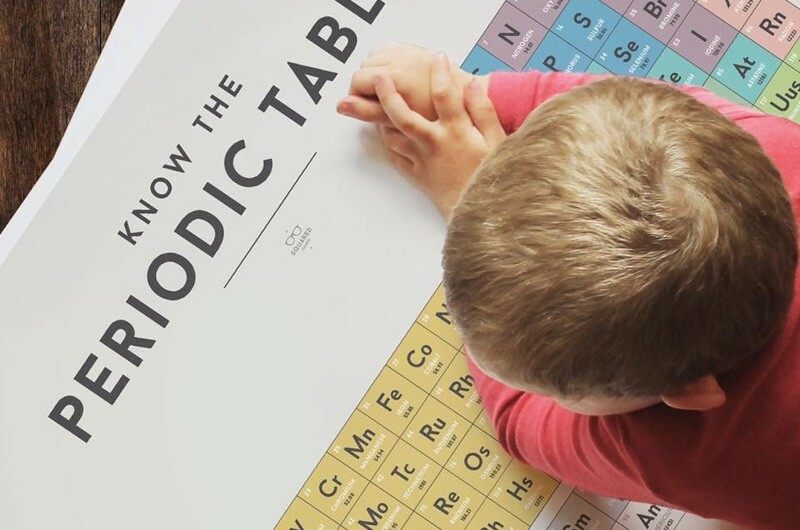 If you’re looking to brighten up the kids’ room with some funky wall art then check out this sleek range of educational posters from We Are Squared. The uncluttered design and gentle pastel palette will suit any decor and each of the six posters packs a heap of lovely looking informative goodness. 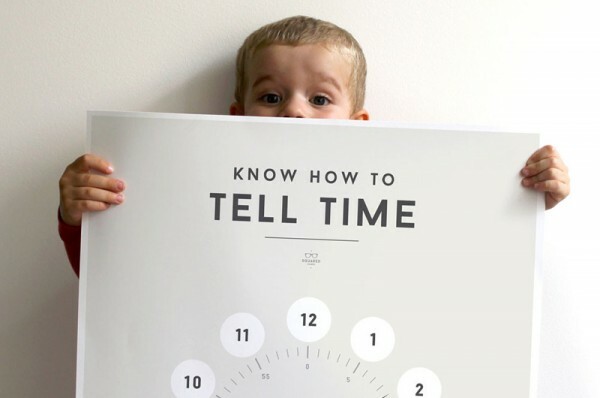 This Tell Time poster will help your clock curious tot grasp those tricky half past and quarter to time telling essentials. 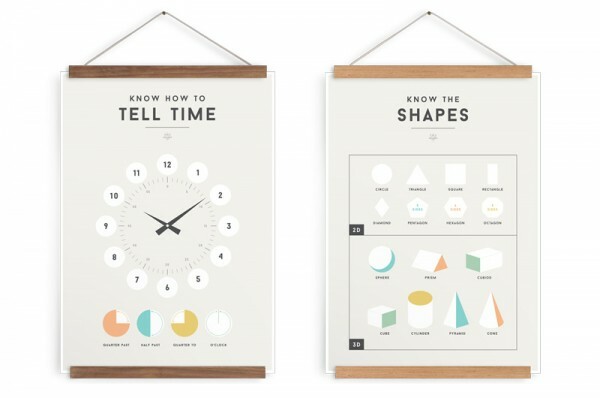 If you can’t tell your cube from your cuboid then the Shapes poster might be the one for you. Help your little one understand the abstract concepts of 2D and 3D shapes whilst appreciating the art of good design. 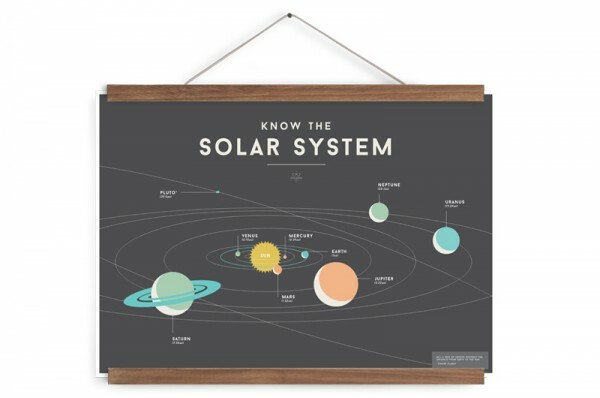 Help kids understand their place in space with this Solar System poster naming all the planets in our solar system. 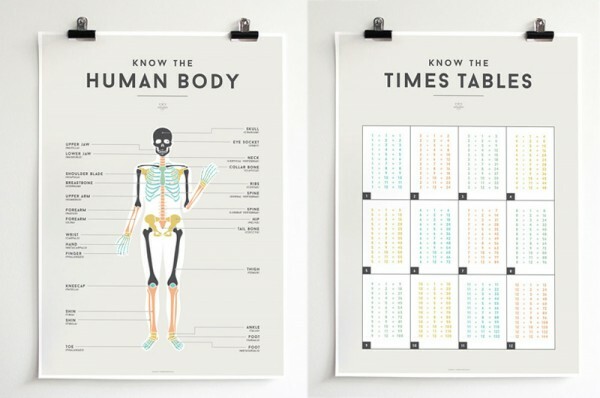 This Human Body poster is a cute re-imagining of traditional medical drawings and will help kids get to grips with body structure and names of bones. Includes colour coding for easy identification. The Times Tables poster will have the kids mastering multiplication in no time, with tables between one and twelve depicted in an easy to read format. 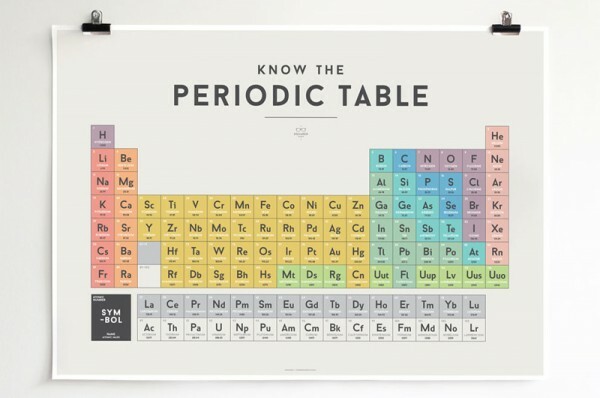 This Periodic Table poster is perfect for your budding scientist. Includes heaps of interesting science facts like the element’s name, symbol, atomic number and weight. Printed in Australia on one hundred per cent recycled stock, their standard sizing means you’ll easily find a frame to fit. Or if hanging straight on the wall is more your style they are sturdy enough for that to. All available from Leo and Bella except the Human Body which you can track down at the Corner Booth for $25.